So Innes converted the Formosan to Anglicanism, baptised him with the Christian name George Psalmanazar, and brought him to England to meet the Bishop of London. The Bishop embraced him with open arms, as did the rest of British high society. The elite ladies and gentlemen of England treated Psalmanazar as an exotic curiosity. Even the Royal Society took an interest in him. 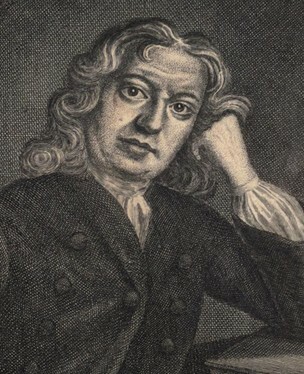 Psalmanazar was able to convince many Protestants of the truth of his story by appealing to their religious prejudices, particularly their anti-Jesuit prejudice. 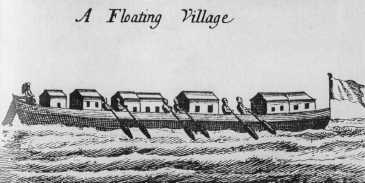 He claimed he had been fooled into leaving Formosa by a disguised Jesuit missionary. This story played to the widespread paranoid belief that the Jesuits were sending secret agents throughout the world to trick foreign nations into converting to Catholicism. Protestants figured that if this young man didn't like Jesuits, then he must be worthy of their trust. But of course, Psalmanazar's story did not convince everyone, especially not the Jesuits. The Jesuit Father Fontaney, who was travelling through England at that time, challenged Psalmanazar to a debate which Psalmanazar accepted. But the debate proved inconclusive because Fontaney didn't know enough about Formosa to seriously challenge any of Psalmanazar's claims. For instance, when Fontaney asked Psalmanazar why his skin was not darker in color like that of other people from Asia, Psalmanazar replied that in Formosa the members of the nobility lived indoors and therefore had lighter skin than the laborers who worked outside. For all anyone in England knew, this could very well have been true. Psalmanazar capitalized on his fame by publishing a book titled An Historical and Geographical Description of Formosa, in which he offered British readers an intriguing and sensational glimpse at Formosan culture. He claimed that in Formosa convicted murderers were hung upside down and shot full of arrows, that polygamy was allowed, and that every year 20,000 young boys were sacrificed to appease the gods (this latter claim was accompanied by a gruesome illustration of 'The Gridiron upon which the hearts of the young Children are burnt'). Psalmanazar also obtained an appointment at Oxford College to translate religious literature into Formosan. But despite the apparent success of Psalmanazar's scheme, doubts continued to circulate about his true identity. These doubts became harder and harder to ignore until finally, in 1706, Psalmanazar confessed to his imposture, supposedly motivated by a religious experience that convinced him of the sinfulness of his deception. He spent the rest of his life working as an editor and a writer on Grub Street. At one point he even contributed a section about Formosa to a work titled Geography of the World, though this article, unlike his previous book, was truthful. Many years later, he wrote a long confession titled Memoirs of ****, Commonly Known by the Name of George Psalmanazar. This work was published posthumously in 1765, a year after his death.